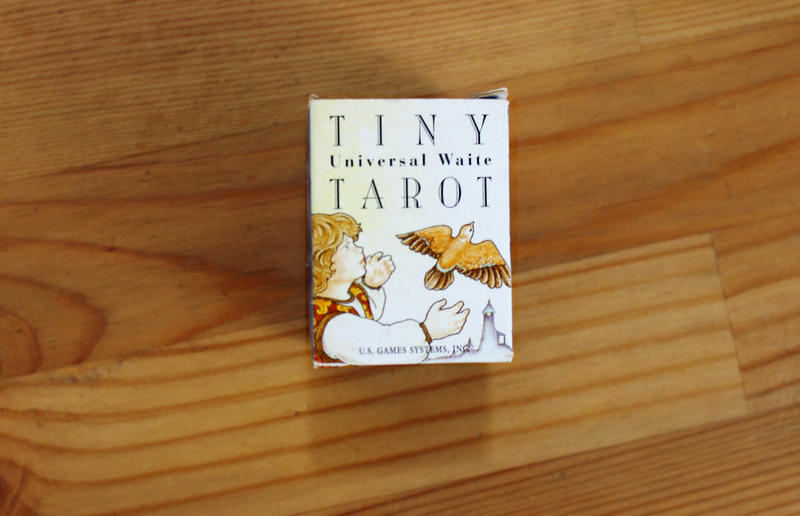 My penpal sent me this tiny little portable Tarot deck! I’ve always been curious as to how to read tarot cards, oracle cards, tea leaves (yes, this is a thing?! ), and astrology. It’s been a source of creativity for me to interpret and tap into my deeper intuition. Even if they’re not accurate. Let’s be honest–none of us actually read our horoscopes and 100% believe everything it says, right? Here’s where you can get them too; my generous penpal sent them to me! The Sun: A sign of safety and health. Be confident in what you do! <—time for me to step into my highest self and speak my authentic truth. King of Swords: Traditionally representing the energy of the king. This energy form is an adjudicator (the wise judge or mediator). He helps others if there’s a conflict and could guide the societies to see their greater good. Advice: listen to the inner wisdom offered by the wise elder that dwell inside you. <—wow, this is so like the life coach inside of me! The World: In charge of wisdom; an omniscient, all-knowingness. We are all connected; we all have cosmic citizenship. Advice: be peaceful in the way you are achieving to your goal. <—look at the overall, holistic picture when approaching tasks. Freedom from inner conflict. Talent gifts of past incarnation can come in this time. Advice: Let go of your past. The future welcomes you with a bounty of growth and change. <—blossoming now as a heroine, not a victim. I was never a victim to begin with; I was blessed with a gift that I thought was a curse! Looks like it’s a time of new beginnings and shedding the old–and I’ll have to ask for help in doing so. It’s time to step into the new change by stepping into my highest, authentic self. Acting differently–acting with the light I was born to shine with. I’ve been thinking about wearing some of the precious clothing that I never wear because a) I didn’t want to dirty them and b) I just love lounging in comfy clothing too much. Through the loss of jobs, the leaving of program that broke my heart, and changing of paths, I’m setting down my foot towards a forest without a map. But I know my destination, and that’s enough. That’s more than enough. This is all so true in my life right now. School is here, I’m in a new state, new program, new endeavors and growing as an artist in a different way than I thought possible. I have invested in a coach, in dance classes, and a mastermind group on the law of attraction. These are things I never would’ve done because I didn’t think I deserved it. I am above the things I’ve left because I’ve outgrown their potential to help me grow. And now I’m onto the next. Sometimes I was forced; the universe had something happen to me so that I had to take the next step I never would’ve taken on my own. I am not settling. I am not just surviving. I am thriving. One of my favorite sayings from Gabrielle Bernstein (@gabbybernstein) is, "Obstacles are detours in the right direction". Over the past couple of weeks, there have been many detours, winding curves, and dead ends that seem to pave my way. Even when I try steering the wheel back in my control, it always seems that I am hitting some sort of road block. I know that I am destined to travel down a great path; I trust that the universe will not rob me of the opportunities and plans it has for my greatness. I let myself travel without a map. Sending you light and love if you're traveling down a similar path. 🎇✨ Namaste, m'fitties. Have you ever done Tarot decks before? Do you believe in astrology? Horoscopes? Do you have a spiritual practice? This entry was posted in Uncategorized and tagged spirituality, tarot.